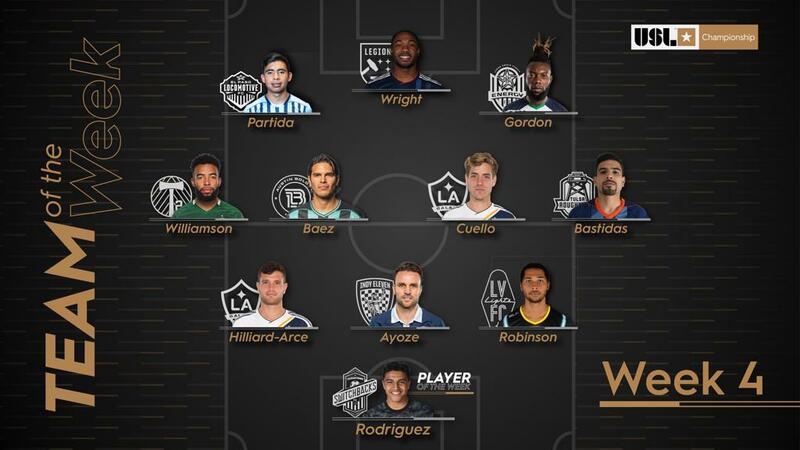 TAMPA, Fla. – Colorado Springs Switchbacks FC goalkeeper Abraham Rodriguez has been voted the USL Championship Player of the Week for Week 4 of the 2019 season. Making his professional debut for the Switchbacks this past Saturday night, the 16-year-old recorded 11 saves to help his side take a 2-2 draw on the road against Phoenix Rising FC. It was the second-highest single-game save total of the 2019 Championship season. Rodriguez received 40 percent of the poll conducted by a national panel of independent media representing every USL Championship market. Birmingham Legion FC’s Brian Wright received 25 percent after notching a goal and assist in Legion FC’s first victory in club history against Louisville City FC this past Sunday. 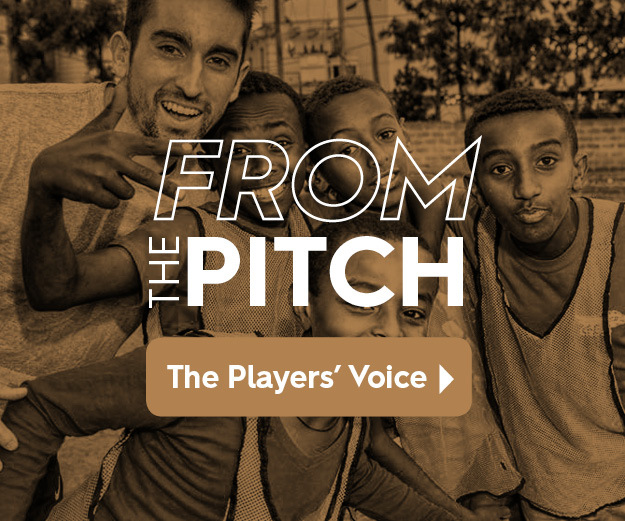 GK – Abraham Rodriguez, Colorado Springs Switchbacks FC: The 16-year-old made 11 saves on his professional debut to help the Switchbacks claim a 2-2 draw on the road with Phoenix Rising FC. D – Tomas Hilliard-Arce, LA Galaxy II: The center back scored twice, including a late game-winner, as Los Dos ended the Portland Timbers 2’s undefeated start to the season with a 3-2 victory. D – Ayoze, Indy Eleven: The Spaniard made a strong season debut with four key passes as he completed 41 of 49 passes and made 10 recoveries in the Eleven’s 1-0 victory against Hartford. D – Gabe Robinson, Las Vegas Lights FC: Robinson recorded 10 clearances and went 7 of 7 in duels to help Las Vegas record a shutout victory against Real Monarchs SLC. M – Eryk Williamson, Portland Timbers 2: Williamson recorded a pair of assists, completed 33 of 37 passes and made eight recoveries in T2’s clash with the LA Galaxy II. M – Xavier Baez, Austin Bold FC: Baez completed 38 of 43 passes, notched three key passes and made nine recoveries to help lead Bold FC to its first victory in club history against San Antonio FC. M – Emil Cuello, LA Galaxy II: Cuello recorded two assists and nine key passes overall to help the LA Galaxy II claim a 3-2 victory and end Portland’s undefeated start to the season. M – Fabian Bastidas, Tulsa Roughnecks FC: Bastidas completed 34 of 40 passes and scored what proved to be the game-winning goal as the Roughnecks moved to the top of the Western Conference. F – Edson Partida, El Paso Locomotive FC: Partida notched both goals after coming on as a second-half substitute to lead Locomotive FC to its first victory in club history by defeating Orange County SC. F – Brian Wright, Birmingham Legion FC: Wright had a late game-winning goal and notched an assist as Legion FC took its first win in club history by defeating Louisville City FC 3-2 on the road. F – Omar Gordon, OKC Energy FC: Gordon scored in the fourth minute of stoppage time to add to his earlier assist and complete Energy FC’s three-goal comeback in a 3-3 draw against Reno 1868 FC.